Note of 12 February 2013: Please scroll down to the comments section for a reader's extensive information on the Lawton family. 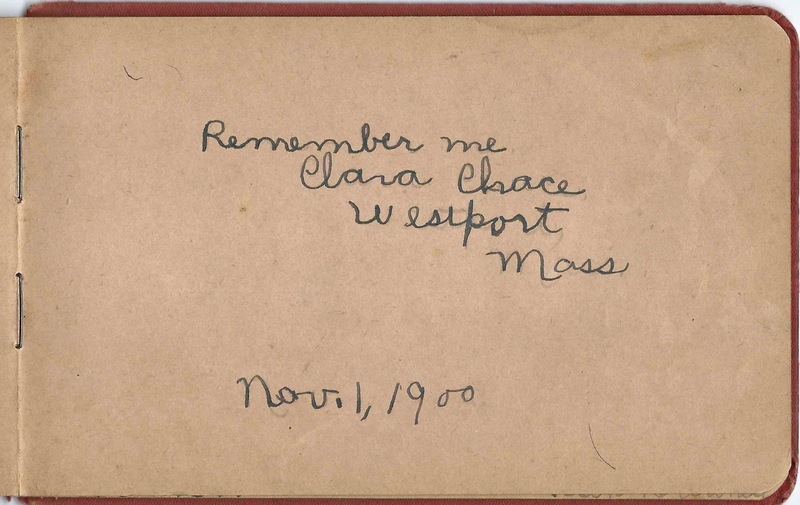 1890s/1900s autograph album of Lester Clifford Lawton of Westport, Massachusetts. 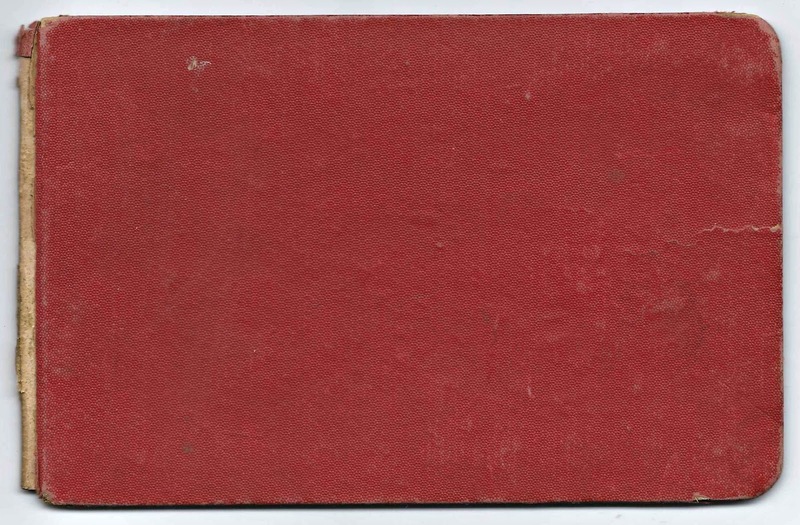 The album is approximately 7" x 4-1/2" and contains 7 pages signed by Lester himself, his relatives and friends. Since there are so few pages signed, I'll include images of each. Lester signed his name on the inside front cover. 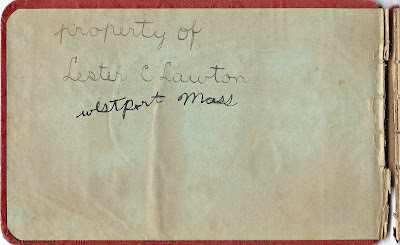 Lester Clifford Lawton was born 7 June 1890 at Westport, Massachusetts, the son of Isaac Macomber Lawton and his second wife Annie D. (Lawton) Lawton, themselves both natives of Westport. 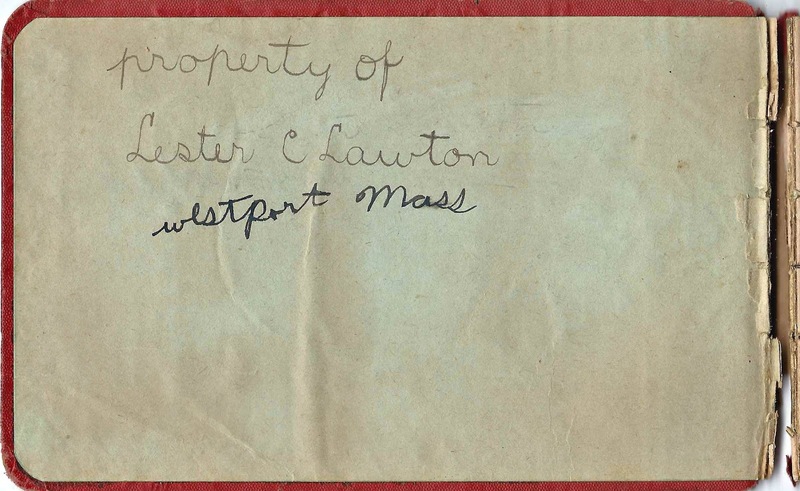 Lester's paternal grandparents were David and Rebecca W. (Tripp) Lawton. 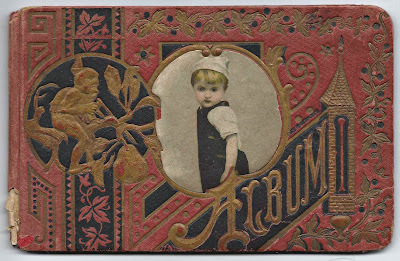 His maternal grandparents were George Stacy Lawton and Mary Adeline (Sanford) Lawton. 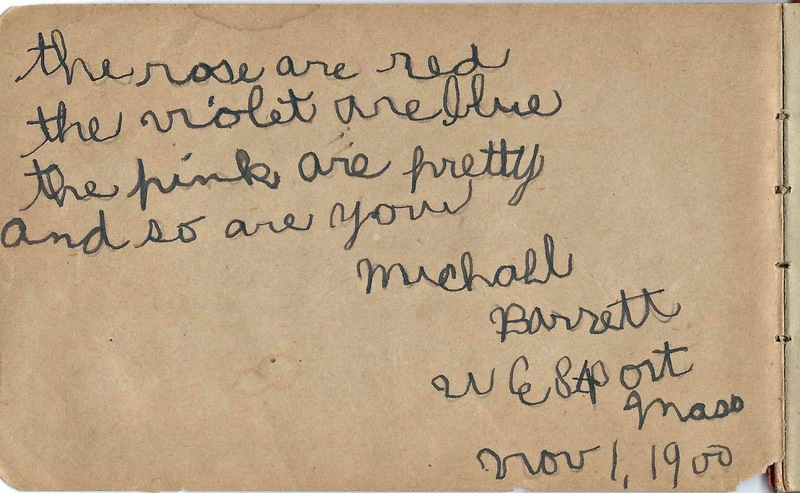 Lester married Viola M. Briggs, daughter of Alfred Bradford Briggs and Mary Elizabeth (Sherman) Briggs. 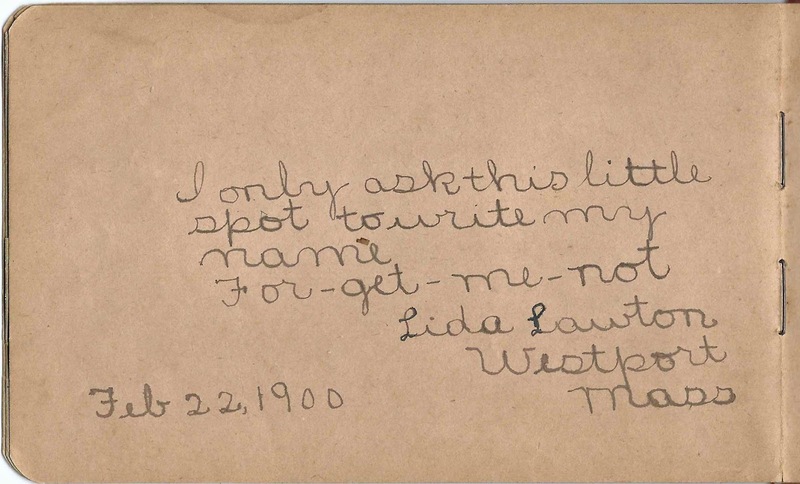 Viola was born at Westport, Massachusetts, on 27 April 1893. 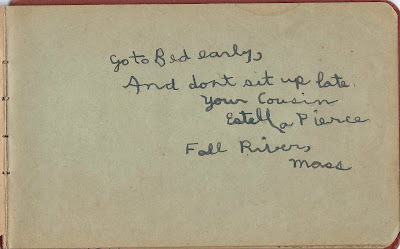 The couple had a daughter, born about 1923. They ran a dairy farm. In page order, following are the six other pages signed in the album. 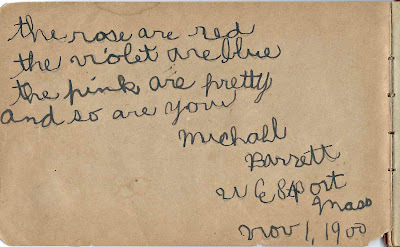 First, Michael Barrett of Westport, Massachusetts, signed a page on 1 November 1900. 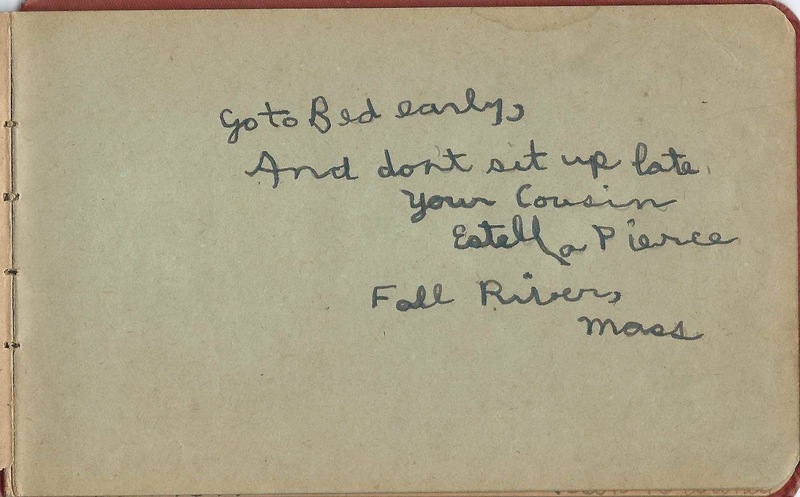 Cousin Estella Pierce of Fall River, Massachusetts signed a page. 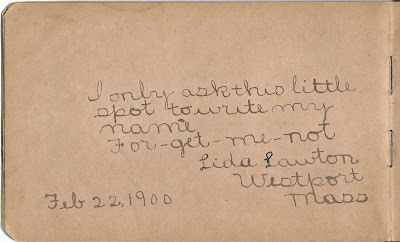 Lester's sister Lida Lawton of Westport, Massachusetts, signed a page on 22 February 1900. 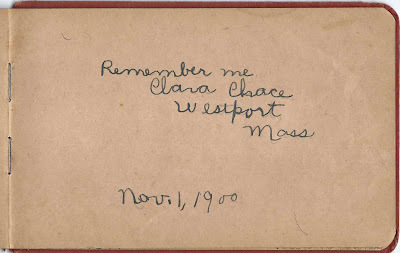 Clara Chace of Westport, Massachusetts, signed a page on 1 November 1900. 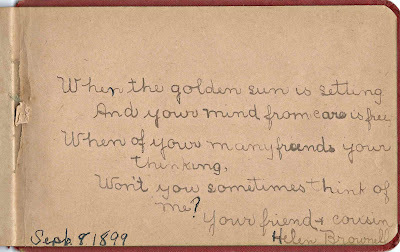 Lester's cousin Helen Brownell signed a page on 8 September 1899. 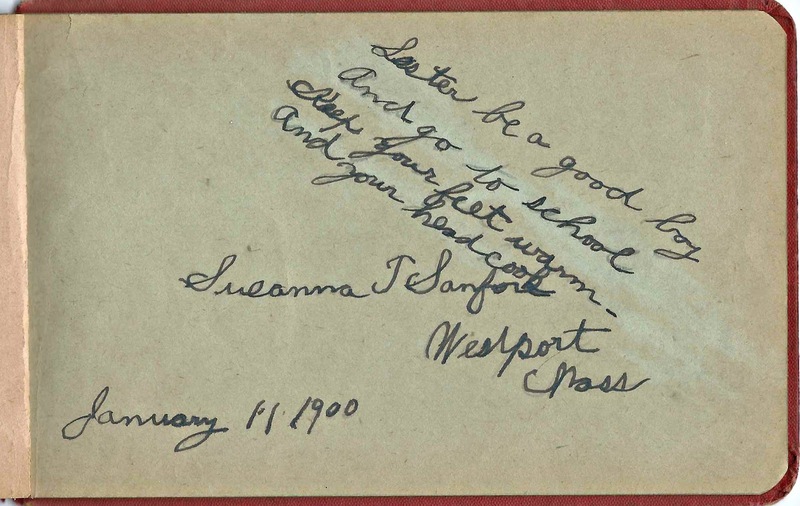 Susanna T. Sanford of Westport, Massachusetts, signed a page on January 11, 1900. Lester's parents and paternal grandparents are in generations 11 and 12 on this page http://familytreemaker.genealogy.com/users/c/a/s/Margaret-T-Cassell/ODT21-0002.html. 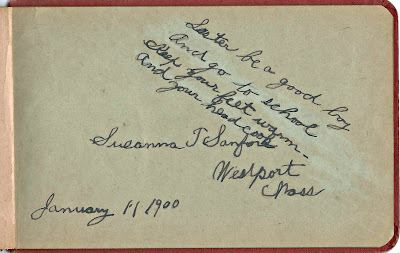 I know Lillie's father was from Fall River, next door to Westport. Thanks for your added information on the Lawton and Chace families, Ed. I made a note in the post itself to direct readers to the comments section. 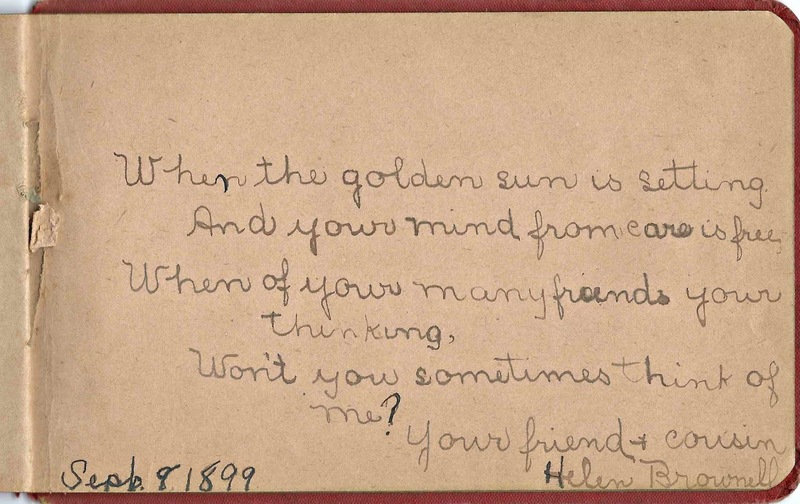 Thanks for pointing me toward your post on Lillie B. Chace - very interesting!